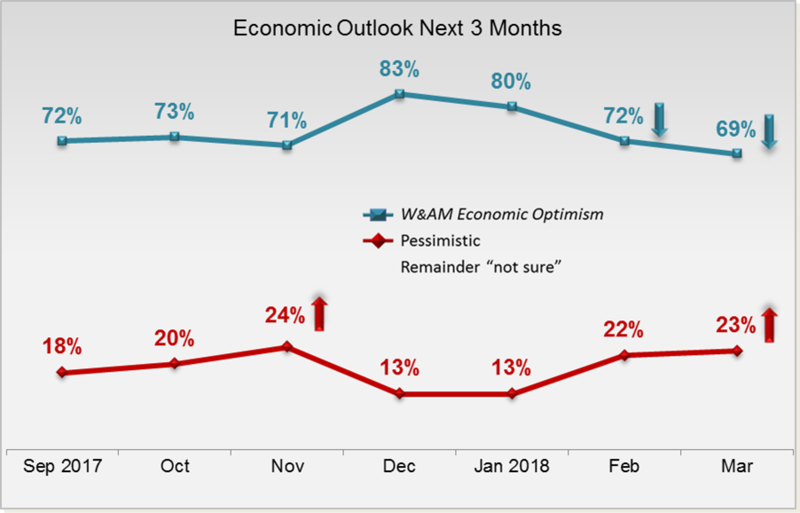 Similar to the Consumer Confidence Index, the W&AM Economic Optimism trend line continued a three-period decline in March among both Mass Affluent (down one point to 69%) and HNW investors (down three points to 69%). 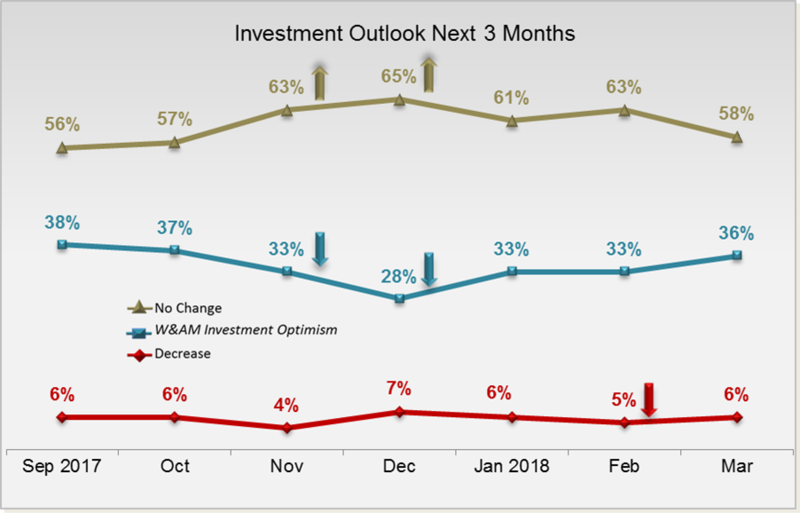 The W&AM Investment Optimism trend line fell sharply in March among HNW investors, declining 12 points to 28%. 65% of HNW households were on the “sidelines,” making no changes to their portfolios. 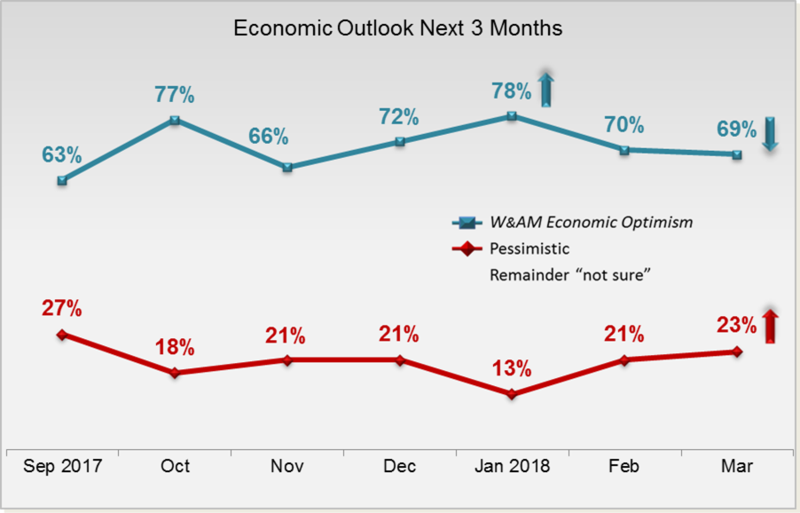 The trend line gained three points among Mass Affluent to 36%. 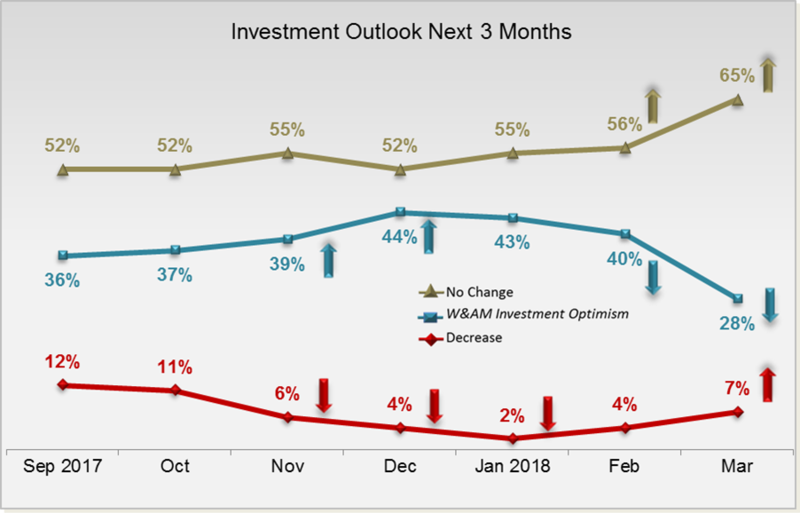 HNW investors became very cautious in March and were largely unwilling to commit additional funds to their positions until they were more certain about market direction.